The French Presidential election is basically decided at this point as Emmanuel Macron has defeated Marine Le Pen by a rather large portion. He won by a margin of about 65% - 35%. Macron who is a centrist is now the president of France. The interesting fact of the matter is he is not of any of the two traditional parties in France. Macron said that this is a new page in French History. “I want it to be a page of hope and renewed trust, ” he said. The supporters of Macron gathered in the thousands to come and see him talk about his victory and hear his victory speech. He was at the Louvre museum. In his speech to his supporter, he said a numerous amount of times that he and the nation have an enormous amount of work ahead of them. Macron did mention Le Pen a few times however, that drew very loud boos from the audience of listeners that clearly support him and his ideas. Macron is a liberal-centrist who is pro-EU (European Union) and is very much so pro-business. He has pledges that include less spending and lowering the unemployment rate by 7%. His pledges also include a reduction of 120,000 of public sector jobs. 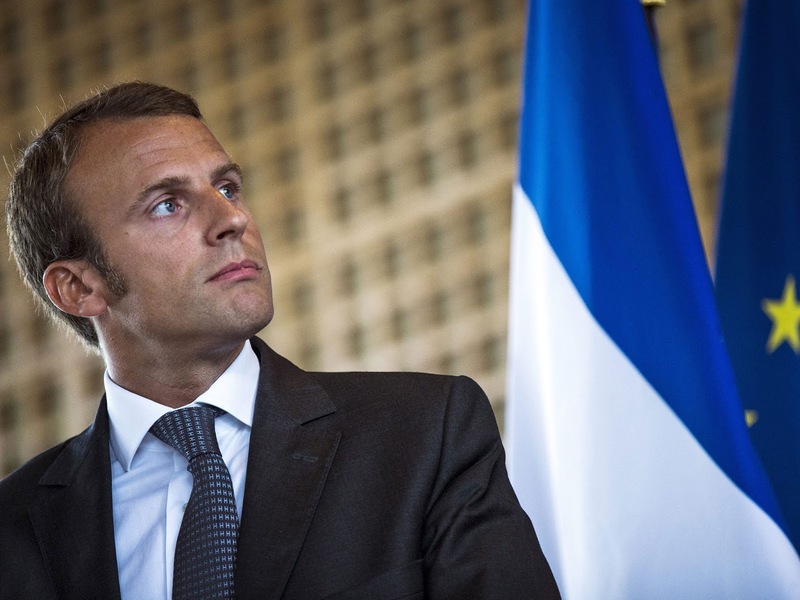 Macron is also France’s youngest President at age 39. Many people do have fears that he will not do what he says. This is almost true in every nation as politicians have a bad stereotype of lying about doing something or not doing what they said to get elected. If he does do what he claims, he will have the utmost amount of support from the people around him and the people of France. Marine Le Pen, of course, did have a reaction to her loss of the election. She thanked the 11 million voters that voted for her and said that a new political force was needed in the future. She also mentioned that the National Front movement needs to renew itself and she would be starting this change soon. Le Pen even congratulated Macron and wished him success in dealing with the challenges that lye ahead for his career as he is now the president. As the winner was announced many people carrying the blue rose (Le Pens chosen symbol) waited in awe to see if she had won the election. Supporters from both sides were in the crowd waiting to see if their candidate won. They also stood and waited for the French national anthem to finish. However, despite who the winner is and who the loser is, it must be dearly noted that the victory of Macron would not be a very understand or predict. This is likely due to the fact that the polls said he would win. Many people do not trust polls because they feel it might cause a “tilt” in the populous for one party over the other. However, you can not deny that they’re helpful for having an idea of who the people want in office.